Question: How does a baking soda volcano work? How does carbonation work? 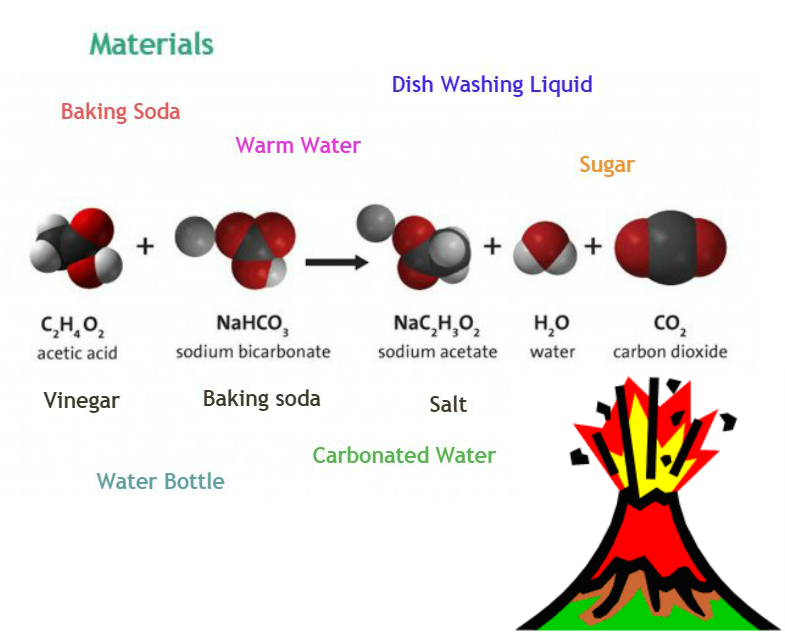 What is the difference between baking soda volcanoes and carbonation? Procedure: (1)Take the water bottle and fill it up half way with warm water. (2) add 1 squirt of dish washing liquid. (3) add 3 table spoons of baking soda. (4) Add about 3/4 of a cup of vinegar. (You could add some food coloring to it to make it look like a real volcano). (5) Take a soda bottle, shake it and observe the effect. You will see that it is a similar effect to the volcano. ​The baking soda (sodium bicarbonate) is a base while the vinegar (acetic acid) is an acid. ​When they react together they form carbonic acid which is very unstable, it instantly breaks apart into water and carbon dioxide, which creates all the fizzing as it escapes the solution. Hi My Name is Max. I am a catcher on the 11u baseball A team, My favorite Harry Potter characters are SNAPE (My Personal Favorite!) Dumbledore, and last , but definitely not least, Voldemort. Thomas and I could solve the Rubik's cube in in less than 30 seconds.